5 piece gift set containing an assorted range of scented candles and room fragrances accessories for the home, all in Oriental Spice. 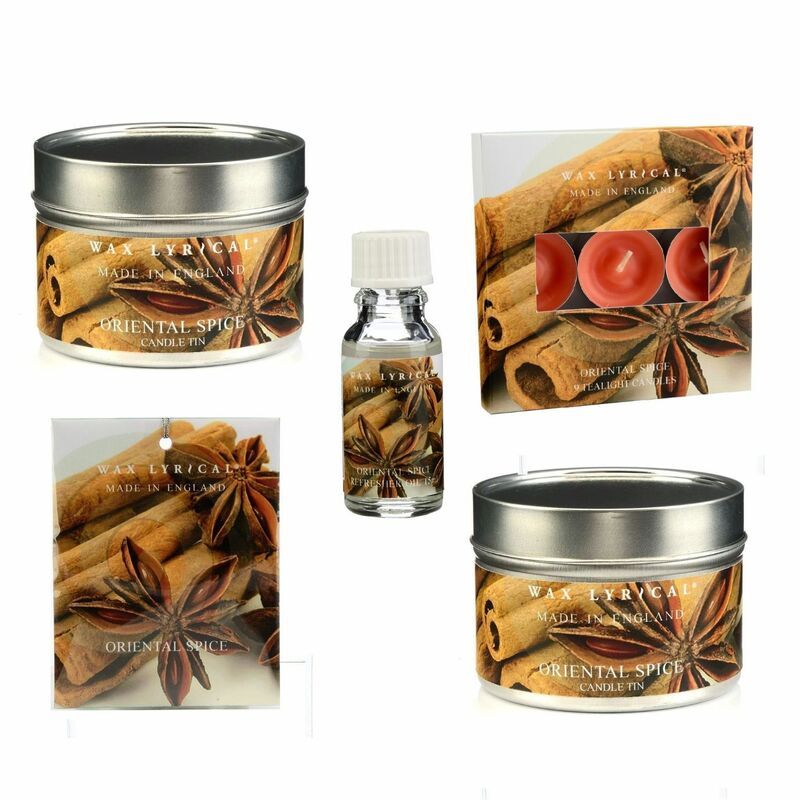 A spiced blend of cinnamon, clove and sweet vanilla. All items beautifully presented in a clear gift bag especially for you.